30ml: Fresh fruity fragrance that evokes the spirit of the Mediterranean - the infinite sky, the deep sea and light-hearted joy of living. 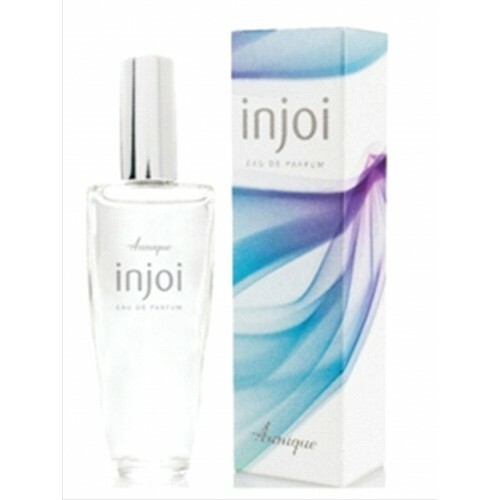 Experience the inner joy and freedom that Injoi brings with mouth watering fresh notes of the seashore, with lively Sicily citron, spontaneity of bluebells, feminine Jasmine, fresh bamboo and charming rose. A fresh sparkling fragrance for women who love the dreamy charm and floral music it brings. 30ml: A fresh energetic Fragrance for the bold, charming lady. Inspired by DKNY's Be Delicious..